BITSAT Colleges: Know your Goals better! 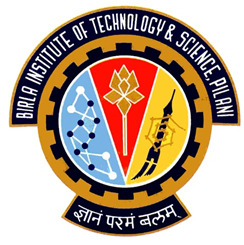 The Birla Institute of Technology and Science (BITS), Pilani is a Deemed University under Section 3 of the UGC Act. BITSAT is a computer-based online test conducted by BITS, Pilani for admission to Integrated First Degree Programmes offered by its Pilani campus, Goa campus, and Hyderabad campus. BITSAT colleges have garnered excellent rankings over the years. In 2012, India Today, The Week and Outlook had placed BITS, Pilani right at the top of their Best Private Colleges in India list. In the Top Engineering Colleges rankings, India Today had placed BITS, Pilani at the 5th position while The Week and Outlook had awarded 7th position to the institution. In total, BITSAT colleges in India have about 2,200 seats. More than 1.66 lakh students appeared for BITSAT 2013, which means that more than 75 students were competing for each seat on offer. Now, NIIT University is also accepting BITSAT scores for admission to its B.Tech programmes offering a wider choice to students opting for the exam. To know if any new universities or colleges have been added to BITSAT colleges list, keep visiting this page from time to time. To enquire about BITSAT coaching, contact us at info@askiitians.com.